AMMONNEWS - The court declared the defendant guilty of strangling his wife with her own scarf then setting her body ablaze at a forest on December 25 and handed him a 20-year prison term. However, the court decided to reduce the sentence to half because the victim’s family dropped charges against the defendant. Court papers said that, on the day of the murder, the defendant saw his wife riding in a vehicle with a stranger so he followed her. "When the vehicle stopped, the defendant claimed he saw his wife descending from the vehicle and the man escaping," court papers said. The defendant ran after his wife “pulled her scarf and strangled her with it. He then grabbed a gallon of kerosene and poured it on her,” according to court documents. 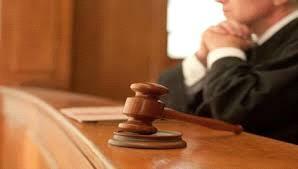 The following day, the court maintained, the defendant called the victim’s family and reported his wife missing. In mid-January, the victim’s body was found in the forest and the husband was brought in for questioning by police, the court said, adding that the husband reportedly confessed to murdering his wife and reenacted the murder. The higher court ruled that the Criminal Court followed the proper procedures and the defendant deserved the verdict he received.